At NPC and TSC we’re all about supporting women in business, and helping each other learn and grow! 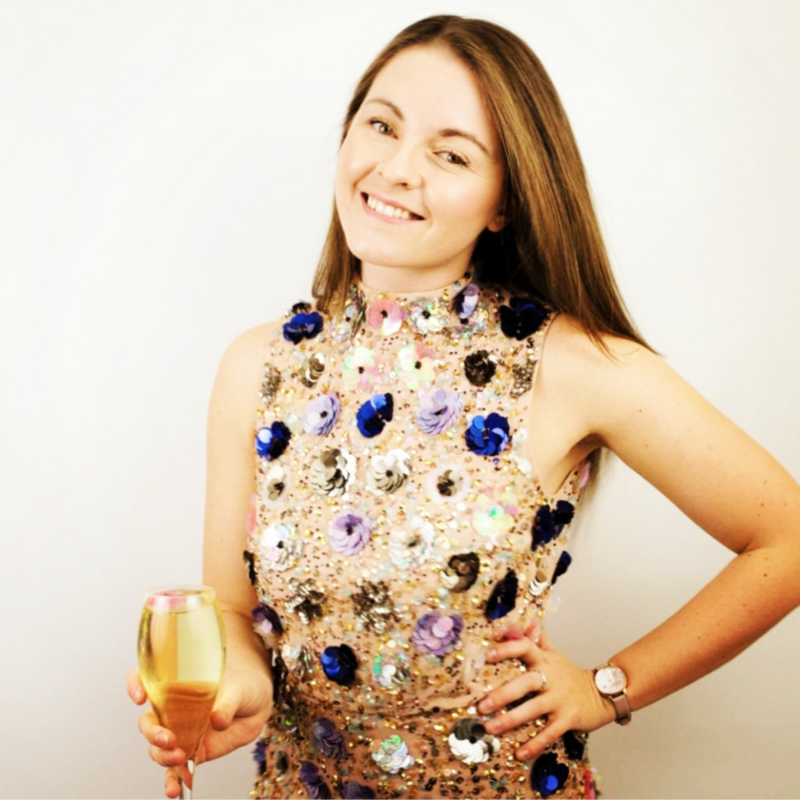 So today we’re excited to introduce you to Sarah Louise, the high vibe and tenacious Founder + Owner of Petals & Prosecco! Sarah’s all about #livingtheproseccolife! She’s is a valued TSC member and NPC branding client who started her business with the desire to encourage women to celebrate! Petals and Prosecco is a brand that adds even more fun to your cocktail with the help of some gorgeous edible, floral cocktail “accessories”. Get to know Sarah below and show your fellow female entrepreneur support by following her on Instagram! Q: Tell us your story! What got you started? A: My love for all things pretty, my love for life, dance and girl vibes! Q: Who do you love working with and why? A: Inspirational women who are worthy of celebrating themselves and others, because life is worth celebrating each and every day! Q: What do you love most about being a female entrepreneur? A: The joy it brings in my life knowing I light up someone else’s life one way or another. Q: What advice do you have for aspiring female entrepreneurs? A: Just get started, follow your curiosity, take baby steps, nothing happens over night & just enjoy the journey! Q: How has The Stock Collective helped you and your business? A: The images are beautiful & having the opportunity to collaborate makes it affordable for just starting out in business! Thanks so much for inspiring us, Sarah! Follow @petalsandprosecco on Instagram to see all of Sarah’s stunning work. PS - Would you love to be a featured TSC member to our audience? Current members, tell us more about yourself here! Not a member? Learn more about TSC here. PPS - If you’d love to take your business idea from 'concept' to 'fully operational money-making-machine' sign up for the waitlist to be the first to know about our Spring 2019 LIVE and ONLINE group courses! MARKETING + BUSINESS STRATEGY, BRANDING, WEB DESIGN, BRAND PHOTOGRAPHY + VIDEOGRAPHY, DIGITAL MARKETING and MUCH MUCH MORE.